Nicki Minaj Boycotts BET After They Dragged Her in a Cardi B Grammys TweetShe’s also threatened to spill tea on the Grammys producer everyone loves to hate. Bob Your Head to Dua Lipa and St. Vincent’s Extremely Good Grammys Mash-Up Duet“Masseduction” and “One Kiss” are like peanut butter and chocolate for your little ears. Dua Lipa Explains Why She Referenced Sexist ‘Step Up’ Comment in Grammys SpeechA little shade to the Recording Academy President. 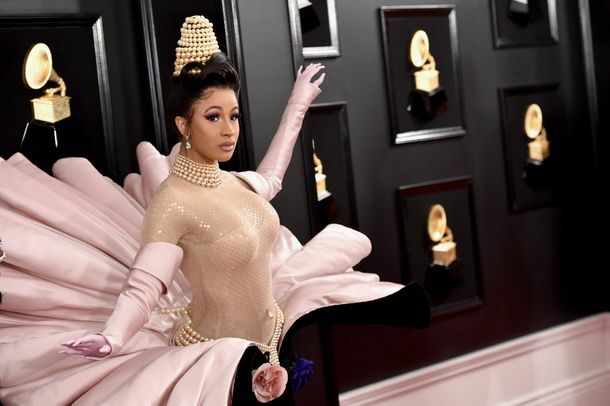 Cardi B Makes Grammy History With Best Rap Album WinLauryn Hill was the last woman to win, over 20 years ago. Cardi B and Her Piano Woman Stole the Grammys ShowIntroducing Chloe Flower, your new favorite pianist. Dolly Parton and Her Goddaughter Miley Cyrus Sing ‘Jolene’ at the GrammysKacey Musgraves, Maren Morris, and Katy Perry also paid tribute to the living legend. Michelle Obama Stopped the Grammys With a Single WordAnd just like that, the show was saved. Ariana Grande Beats Taylor Swift to Win First-Ever GrammyTake that, Ken! See Every Red-Carpet Look From the 2019 GrammysCardi B, Lady Gaga, Janelle Monáe, and more. Here Are the High-Stakes Battles of the 2019 GrammysAriana Grande vs. Taylor Swift! Childish Gambino vs. Joyner Lucas! Drake vs. Drake! How to Watch This Year’s Grammy AwardsDon’t have cable? Don’t sweat. Your Guide to H.E.R., the 2019 Grammys’ Biggest Surprise NomineeFor starters, she used to be totally anonymous. Vulture’s 2019 Grammy PredictionsThis year is utterly unpredictable but that won’t stop us from trying. Alicia Keys Steps Up to Host 2019 GrammysShe becomes only the fifth woman to ever host the show. 2019 Grammy Nominations: The Snubs and SurprisesIt’s not a great year for Taylor Swift. 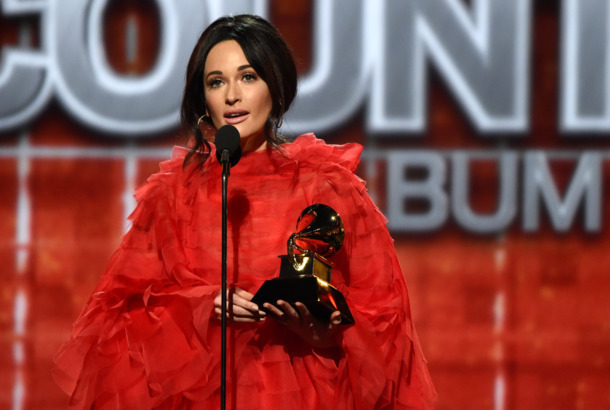 Here Are Your 2019 Grammy NomineesWhat difference did the newly expanded top categories actually make?